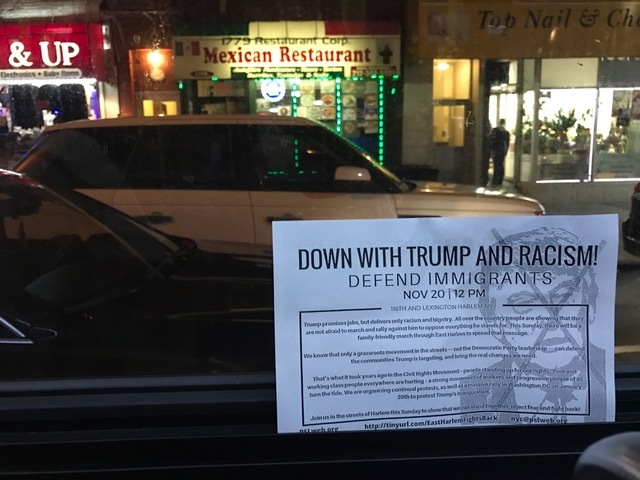 Residents of East Harlem are taking what they say are defensive actions to prepare for the Trump administration’s anticipated policies on immigration, with protests, forums and arranging legal counsel. “El Barrio,” or Spanish Harlem, is a neighborhood of about 126,300 residents, with a Hispanic population of about 55 percent. About 1 in 5 residents are documented immigrants, and many more, especially a large number from Mexico, are undocumented. Donald Trump’s victory in the presidential race has clearly unsettled the community. During his campaign, Trump advocated deporting millions of illegal immigrants, building a wall on the border of Mexico, revoking an executive order in which President Barack Obama deferred deportation of immigrants who entered the country illegally as children and overhauling immigration law. All of this would have a direct effect on many residents of East Harlem. Non-profit organizations began community outreach almost immediately to assist undocumented immigrants in the community. The Legal Aid Society hosted a forum on Nov. 17 in the basement of St. Paul’s Church at 113 E. 117 St.; attendees were allowed to be anonymous. The group provided free legal counsel and information on current immigration law to residents, who had many questions. 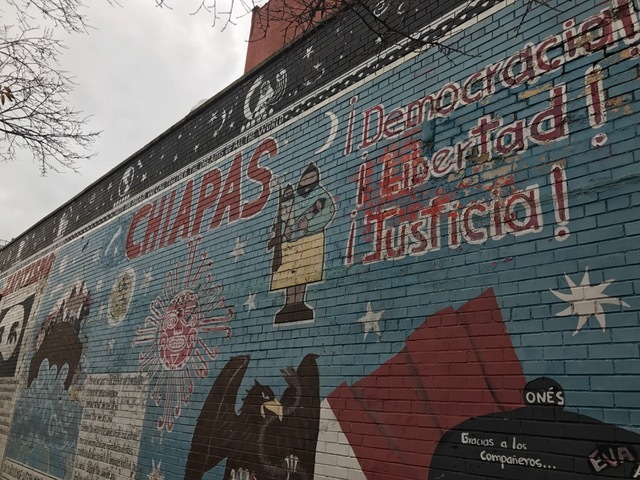 East Harlem residents are preparing for new immigration policies. One threat that is troubling residents of East Harlem is Trump’s plan to remove Obama’s Deferred Action upon Childhood Arrival policy, or DACA, which allows children who arrived under the age of 16 to work and attend school. It provides some protection against deportation. DACA and Temporary Protected Status, which permits exceptions on a humanitarian basis for emigrants of certain troubled countries, are the only immigration policies that Trump can remove by executive order; anything else needs to be approved by Congress. Many residents are complaining that they cannot trust attorneys because some are trying to take advantage of the circumstances, by accepting money for legal assistance, knowing that the client will not make progress. As one woman said, several “notarios” have already approached her. Notarios is the phrase given to notaries public Latin America, more formally, notario publicos. But, as opposed to the United States, in most Latin American countries, notary publics are the equivalent of a person who has received a license to practice law. Lost in that translation is the opportunity for individuals to hustle immigrants into paying for false advice and incorrect forms. Protests were organized in East Harlem over Donald Trump’s immigration policies. While attendees at Legal Aid Society forum were middle-aged, younger members of the community were also looking to take initiative. The teacher referred to had her students cut out paper hearts, which she intended to hand out in front of Trump Tower the next weekend. One anti-Trump protest march took place on Sunday, Nov. 18, led by an activist group called the ANSWER Coalition. A handful of people congregated on the corner of 116th Street and Lexington Avenue before marching with their signs to the South Bronx. The protesters, mainly young whites who described themselves as socialists, carried signs and banners saying that the group “stood by immigrants” and was there to defend them. “I appreciate what they are trying to do here, but it’s Sunday. A lot of people are just getting out of church, some have to go to work, and we just can’t put ourselves out there like that,” said one East Harlem resident who refused to give his name. A lot of immigrant residents feel they can’t demonstrate in public or resist, as they are more vulnerable to consequences because of their immigration status. But many expressed a sense of unity as resources and supportive conversations were organized in the community of East Harlem. Photos and video by Derek Norman.